The faculty in the Division of Adolescent Medicine provide care to teens and young adults ages 11 through 21. Adolescent Medicine has been a part of the Department of Pediatrics at the University of Arizona since 1977, when Dr. George Comerci started the first Adolescent Clinic in Arizona. The faculty in the Divsion of Pediatric Cardiology provide complete and comprehensive care for infants, children, and young adults with congenital and acquired heart diseases. Faculty from the Division of Critical Care take care of patients in the Pediatric Intensive Care Unit (PICU) at Diamond Children's, 24/7. There is always a pediatric intensivist on service. Pediatric intensivists take care of the most critically ill patients in the intensive care settings and don't see patients on an out-patient basis. Faculty in the Division of Pediatric Gastroenterology and Nutrition provide complete diagnostic, consultative and therapeutic services for diseases of the stomach, intestines and related organs. The faculty in the Division of General Pediatrics provide general clinical care to children—from newborns to toddlers to teens. Faculty in the Division of Genetic and Developmental Pediatrics serve families of children who are at risk for, or diagnosed with a genetic, neurodevelopmental, or behavioral condition by providing comprehensive diagnostic and evaluative services throughout the community. 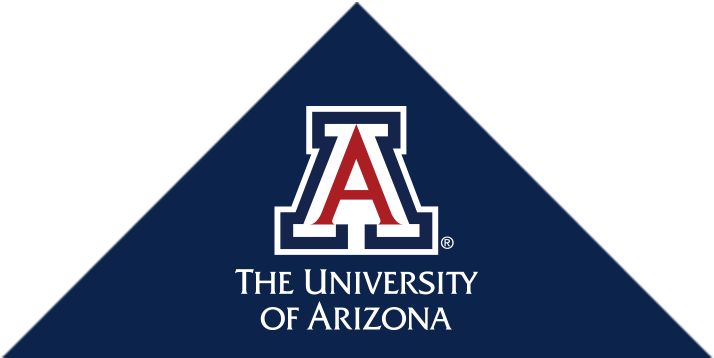 The University of Arizona Department of Pediatrics is the Arizona Cancer Center's clinical partner in treating children with cancer and blood disorders. The mission of the Division of Pediatric Hematology/Oncology/BMT is to provide the highest quality of care and support for children with cancer and blood disorders and to promote acquisition of knowledge that will lead to improvement in therapy and cures. Pediatric hospitalists in the Division of Hospital Medicine care for ill children on the pediatric inpatient units at Diamond Children's, 24 hours a day, 7 days a week. We also care for well newborns while they are in the hospital and provide circumcision services throughout the city of Tucson. Faculty in the Division of Pediatric Infectious Diseases provide in-patient consultation services to all pediatric services at Diamond Chidlren's. In addition, the division is on-call 24 hours a day to provide informal phone consultative services to physicians and physician-assistants both in Tucson and throughout Arizona. Faculty in the Neonatology Division provides care for premature and critically ill newborns. State-of-the-art comprehensive and multi-disciplinary care based on a family-centered philosophy is given in our 36-bed intensive care nursery at Diamond Children's and at the 12-bed Special Care Center at Northwest Hospital. Faculty in the Division of Nephrology are devoted to diagnosing, treating, and managing disorders affecting the kidney and urinary tract, including acute and chronic kidney failure, high blood pressure, inherited kidney diseases, kidney stones, urinary tract infections, and abnormalities in the urine such as blood and protein. We also evaluate and treat problems with growth and development that are specifically related to chronic kidney disease.